One of the biggest takeaways from the latest Star Trek Beyond trailer is that the crew of the Enterprise is in trouble. That’s because of Krall, a brand new villain played by Idris Elba, who has quite the bone to pick with the Federation. Beyond that, pun intended, we still don’t know much about this all-new character. We’ll probably have to wait until the film comes out in July to get the full story. 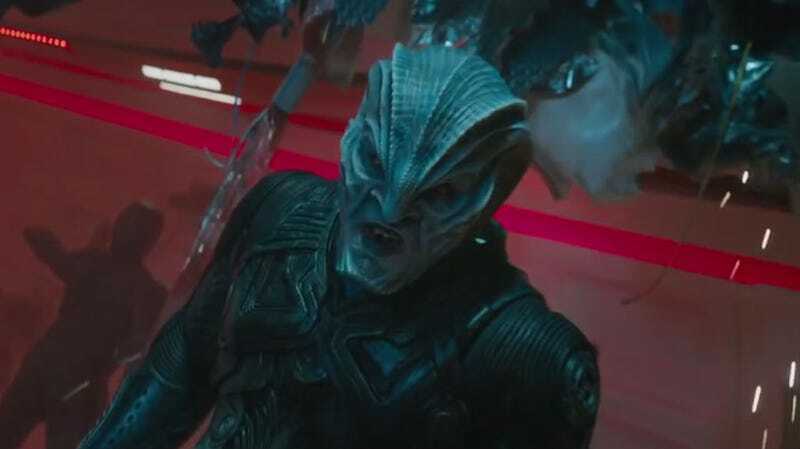 But at Friday’s Star Trek Beyond fan event in Hollywood, Krall’s costume was on display for the first time and it certainly gives you an idea of the ideals and influences of his alien people. Check back for more Star Trek Beyond later this week.